Most of us sleep on our mattresses without knowing what is lurks within. This topic is rarely discussed because ‘out of sight, out of mind.’ If people knew the kinds of parasites that reside in an unprotected mattress, there is no doubt they would make a beeline to purchase a mattress protector for all the mattresses in their household. Some people think that because they practice turning their mattress over a couple times a year and put their mattress in the sun that this is sufficient. Others vacuum their mattresses in hopes they will remove dust mites or other bugs if they are present. When we think about bed bugs, our skin begins to crawl. Just the thought of tiny blood-sucking insects crawling all over our body while we are asleep causes many of us to double check our bed before we get comfortable. These bugs are definitely pests. They can be very difficult to eliminate once they have made our home, their home. They hide during the daytime in the small, dark cracks in our homes. They are nearly impossible to remove. There is no need to fear: the solution is to avoid an infestation to begin with. A special mattress cover designed to avoid an infestation of these bloodsucking insects. Even if you are already dealing with an infestation, a cover for your mattress will still help alleviate the problem. A protective cover is the initial step in ridding yourself of these tiny blood sucking insects or preventing them altogether. At this point in time, with the increasing rate of serious infestations, literally everyone is at risk. The best mattress cover is a zippered encasement that is designed specifically to assist with the control of these pests. A zippered encasement will help make the process much easier for the extermination. 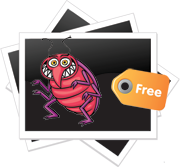 If you aren’t infested, it can assist you in keeping your home free of them. Predictions are that infestations will continue to increase through the year 2016. It has been said that the yearly infestation peak will be in the month of August. It has been a common belief that they only reside in unkempt and dirty homes. This is not true. They have the fortitude to survive and flourish anywhere as long as they have a food source. This includes even the tidiest homes. In the past few years, the infestations have reached levels that are considered to be an epidemic in the United States. The infestation rate is anticipated to double every year! Experts believe that the increased incidences of infestations are due to several things. Some believe that it is due to the ease of foreign travel, decreases in the countermeasures that homeowners are taking to prevent an invasion, and an increase in the use of second-hand furniture and clothing. These uninvited guests’ find it very easy to enter your home. They will travel by attaching themselves to your clothes and body, in your luggage, or from the apartment next door. If you don’t notice them right away and they are given time to actually infest your home, getting rid of them is not an easy task. The worst part is that the longer your infestation continues the more expensive and difficult the process of extermination becomes. That is why preventing the infestation to begin with is the best answer to this potential problem. The way to assist in doing that is to get a mattress cover for all the beds in your home. Without a mattress cover, it will usually take 3 to 6 months for homeowners to realize they have a bug problem that needs attention. This will make the extermination process quicker and easier. When the infestation is realized early on, it is much easier to terminate the problem. If you were to ask an exterminator what is recommended as a preventative measure to ensure you are not faced with an infestation, a mattress cover would be his suggestion. Covering your bed with linens that are bug proof is the #1 way to prevent an infestation. The mattress’ complex interiors and the box springs provide the ideal hiding place. They reside in the coils, wood framing, fabric, springs and foam. For the bugs, these places are like a five-star resort. With the multitude of mattress covers on the market it is sometimes difficult to know the difference between them. It is important to find out which covers will keep your home bug free and which ones will not be effective. If you are looking to find the best prices on mattress covers, research is the key. Mattress covers are available at a variety of stores. It is important to remember to only consider the box spring and mattress covers that are “scientifically proven” to be effective against these insects. This ensures that tests have been done to prove the cover is bug and bite proof. If you know what you need to look for in protector for your mattress and box spring you can ensure you select the one that is best for you and your family. The majority of inexpensive protective covers will not be bite proof. This means that if there are any bugs residing inside the mattress they will still have the ability to feed off the host through the fabric. Polyurethane-lined and vinyl are the fabric choices available on the protective mattress and box spring covers. The vinyl covers will eliminate the bugs from entering or exiting your mattress or box spring. Unfortunately, the vinyl protective covers are generally noisy when the sleeping individual moves around. They are also hot for the individual sleeping on it. Many times the individual will sweat while sleeping on a vinyl protective mattress cover. The sweat could be a breeding ground for mold or other bacteria to grow on your mattress. Discoloration of your mattress could also occur. The vinyl cover is easy to clean with a dampened cloth but they also tend to rip quite easy. However, there are a variety of vinyl thickness levels to choose from. The 3-gauge vinyl covers are a good value and great for everyday needs. The 6-gauge vinyl covers are a lot thicker and can even withstand heavy-duty institutional wear. Due to the fact that vinyl bug mattress covers are not breathable, it is necessary to have a mattress pad on top of it that is comfortable. The protective covers that are polyurethane-lined still allow the skin to breathe, which means no sweating. Soft fabric also covers the mattress. This makes them a quiet protective option. The polyurethane mattress and box spring protective cover is thought of as a premium protective cover. The material is breathable and because of this the body heat is lessened. The fabrics used for the protector are very soft as well. There are several brands that make premium bug resistant box spring and mattress protective covers affording you a wider range of choices. Needless to say, the vinyl bug box spring and mattress covers are less expensive than the polyurethane covers. The polyurethane designs are covered with the terrycloth; the majority of homeowners think the extra cost is well worth the comfort that is added. Where the zipper ends on the mattress cover is extremely important. If the zipper stops short of the seam even as little as 1/32 of an inch, bugs will have the ability to escape or enter the interior with ease. Make sure that the protective box spring and mattress cover you choose has small teeth on the zipper. If the zipper teeth are too large the bugs will have the ability to enter and exit the mattress and box springs very easily. Purchasing a zippered encasement for the pillows as well as a cover for the box springs may also assist in the battle. When purchasing the items necessary to prevent or assist in their elimination, consider it a small investment to prevent an invasion. Otherwise, without investing in the proper equipment, it could take months and sometimes thousands of dollars to exterminate these intruders. It is also an ideal way to start conquering a current infestation. If the infestation is severe, consider the use of mattress protective covers in combination with sprays, traps and powders. The price for a protective mattress cover generally depends on the quality as well as the size of the bed the cover is being purchased for. Some of the less expensive vinyl covers will also protect against dust mites, allergens and bugs. Many have zipper enclosures to protect your mattress and your health. Chemical free designs are available. Some of these are machine washable and can be tumble dried on medium heat or hung out to dry. Some protective mattress and box spring covers also provide protection from other nuisances as well. There are premium protective mattress covers that protect against dust mites and allergens as well as these pesky insects. This provides the sleeping individual a healthy and allergy free place to sleep. Some of the allergens include pollen, mold and pet dander. Besides being breathable, these covers are also waterproof and absorbent protecting against bed wetting or spills. There are covers that have zippers on three sides and that are sealed from the inside providing even better protection. Most covers are machine washable. Is it Necessary to Cover the Mattress and the Box Spring? Covering only the mattress will give the sleeper superior sanitation protection. However, this will not assist with the possibility of an infestation. The majority of infestations occur in the mattress and the box spring. Because of this it is necessary to cover them both to ensure protection. Can You Wash the Protective Mattress and Box Spring Covers? The majority of covers are machine washable and can go into a dryer. However, it is very important to know that when you wash a cover to never use bleach or any kind of bleach alternative. When you dry your cover, the zipper needs to remain fully closed. The cover can be dried with other linens and towels on a medium heat setting. Never remove any covers during an infestation! Can Chemicals be used on the Mattress Before Covering Them? Any of the chemicals that are commercially available can be used before covering the mattress. Make sure the chemical that was applied is fully dry prior to putting the cover on the mattress. These horrid insects are becoming an epidemic in the U.S. and worldwide. It is estimated that one out of twenty homes has an infestation problem right now. Once they gain entrance to your mattress they are much harder to eliminate. If your home is already infested, the first place that needs to be addressed is the mattresses in your home. If you have a relatively new mattress that has no tears in it, you could possibly just purchase a specialty mattress cover. However, if the mattresses are older and you have the ability, it may be better to just purchase new mattresses and box springs and then put the protective covers on them. You need to make sure you measure the mattresses area (including the box spring). The mattress and box spring can be covered separately or together. Be sure that the pad you purchase is deep enough, no less than 11 inches deep. Don’t forget about your pillows. It is necessary to cover the pillows to ensure that the bugs as well as other allergens are unable to affect your sleeping area. The most comfortable pillowcases that protect against insects are made from breathable fabric with a polyurethane lining. This kind of pillowcase will not get as hot as one that is made from vinyl. Pads and covers are available at the majority of brick and mortar stores and even online. Some of these covers even have guarantees for a specific amount of time. The majority of the public does not consider a mattress and box spring protective cover a must when purchasing these items new. However, a protective cover should be because of the increase in the infestations in the past few years. Not everyone in your family will necessarily need the same type of protector for their mattress. It will depend on the individual’s age and any health issues. These bugs are much easier to see with the use of a mattress and box spring protector. This makes it easier to remove them, helping to prevent infestations. Some protectors can be washed while others should never be removed. For the washable protectors, it is advised that they be washed every week in hot water. Never try to move a bed that is already encased as this can result in a tear. Some tears can be fixed with the use of duct tape. Be sure to inspect your cover frequently to ensure that the tape is still in place, and there are no new tears. Some believe that with the box spring and mattress protector, the bugs will no longer be attracted to their bed. However, the attraction will remain; the protector will just assist in your ability to see them. These bugs require a warm and moist environment to survive and multiply. Most of these areas are unseen because they usually scatter when disturbed. If you have an infestation and you put a mattress protector on it you will be able trap the bugs already living in your mattress and stop others from an invasion. Their typical life span is approximately 18 months when they do not have a host to feed from. This is a rather long time, so removing any sharp objects near the bed would be recommended to ensure you don’t rip the mattress protector. If your bed frame has any sharp edges, duct tape or felt could be placed around them to ensure they don’t rub against or poke the fabric. Adding extra padding would also help to protect your mattress. By keeping your protector intact, the bugs will eventually die of starvation. Because all the protective mattress and box spring covers are not identical, it is important to do some investigating prior to purchase. The last thing you want to do is make a hasty and ill-informed purchase. Another tool to consider is Climb Ups. These are placed under the legs of the bed to catch samples. The drawback to this tool is that the Climb Ups only catch the bugs when they decide to climb on or off the bed. It may take some time before it is necessary for them to do this. Each bug will only feed once weekly and if you are being bitten in the sofa or bed, they may not find it necessary to climb up or down. This process could take some time. If you are renting an apartment or home and you have an infestation, the landlord (depending on your local laws) may be responsible to treat your home. You need to find someone that has knowledge and experience to have your home and the homes around you inspected. All the homes that have these insects must be treated. If you are about to have your home treated bugs, it is a good idea to purchase your covers and have them ready prior to the pest control operator (PCO) treating your home. Be sure not to put them on until the treatment is complete. A good idea would be to ask the PCO when you can put your covers on. Does the label explain whether it was tested in the lab or have certifications to prove its claims? Will the cover kill the bugs and prevent them from entering or exiting your mattress? Does the cover have a barrier fabric? Is the cover odorless and breathable? Is the cover thin enough to ensure your comfort? Look at the zippers quality to ensure it is made well and won’t fall apart after washing. Is it made of polyester or plastic? Make sure that you know what material the cover is made of, polyester or plastic. Certain materials could make you hot or make the bed noisy. Be sure not to assume an expensive price means it is going to work the best. Like the majority of products it is best to find a cover that is in the middle of the price range. Don’t go cheap or expensive. Always make sure that the cover is easy to install. Be sure to install the cover correctly. Inspect the cover for tears following installation and then periodically. There is some debate concerning mattress and box spring covers; the arguments concerning this debate are below. A secure cover helps to protect the mattress and box spring’s value. A protective cover will not keep the bugs from making the top of an encased box spring or mattress their habitat. However, it can make inspection of the box spring and mattress easier, allowing for a greater chance of eradication. The box spring and a torn mattress are very vulnerable to infestation. If your box spring or torn mattress is already infested, an encasement that is secure should prevent them from exiting and also from biting you. If there are not any bugs inside your torn mattress or box spring, an encasement that is secure will prevent them from making it their new habitat. A cover will not prevent the bugs from biting you. They still have the ability to reside on the cover, or somewhere else in the room and then climb onto the cover. They are not able to reside inside mattresses unless they are damaged in some way or torn. However, they can reside in a box spring that is even in excellent condition. If a cover is poorly designed or torn, a false sense of security could allow the insects to continue feeding despite the cover. If there are cats that have not been de-clawed in the home, they could easily tear the cover. Some feel that North American-style box springs are vulnerable. This means they need to be covered very securely. Some feel that a mattress cover should also be used for the box springs because these seem to be better designed than the box spring covers. Be sure to examine any bugs you have found in your home, bites received by you or your family, and any possible evidence. Compare these to confirmed photos of bugs, their bites and other evidence. This will help in the determination as to whether the problem is actually what you believe, or possibly something else. If you are suspicious or concerned you might have an infestation where you sleep it is very important to continue sleeping at that location. If you leave your typical sleeping area, they will follow you to other parts of your house in order to feed, spreading the infestation and making it more difficult to eradicate the problem. The bugs may come with you and infest the other home as well. The bugs can live without feeding for approximately eighteen months. When you return, they will begin biting you once again. Because of this, staying in your home while it is being treated and remaining in your usual sleeping place is the way to ensure elimination. The best thing to do is to isolate your bed by moving it into the middle of the floor and ensuring that your bedding does not touch the floor. You can then continue to sleep there while the PCO treats your home. Once you have begun being treated you need to remain in your bed because you are the bait that attracts the bugs to the poison and then they die. If you have isolated the bed as suggested, they will not be able to bite you. Foggers do not get rid of them; they cause them to spread even deeper into your home. Always tell the PCO the different things you have tried to eradicate the bugs. They may have to treat the infested area differently because of the various chemicals you used. Pick the bug up with a piece of clear packing tape and then take an index card and tape the bug to it. It may be necessary for you to show the bugs to pest control professionals, landlords or anyone else relevant to the removal of the pests. You may be able to take the bug to local colleges and have an Entomologist identify the bug. Usually a science museum or pest control company can also assist in identification of the bug. Don’t just assume you will see a lot of the bugs; some people see very few. Do make sure to rule out other conditions such as scabies, folliculitis or other insect bites. Sometimes the bites or rashes are not from these, but are from one of the aforementioned conditions. Doctors are not able to diagnose these specific bug bites with certainty. It is important to know that many times a doctor will incorrectly diagnose bug bites, stating that we do not have them when we do. Many doctors have never even seen bite, or have seen very few. This is because there is a wide range of variances. The bites can range from tiny red bumps, to scabby pimple like bumps or even large welts. Some people have no reaction whatsoever. A bite is actually an allergic reaction. Research that was released in 2010 suggests that 70% of people have an allergic reaction to these bloodsuckers bites and 30% of people do not. It is best to speak with a PCO about the possibility of treating your furniture as opposed to throwing it away. Should the PCO recommend that the furniture is discarded, he or she generally has the ability to assist you in safely discarding these items to limit the spread. Professional assistance ensures that you are less likely to become re-infested and it also eliminates the possibility of someone picking it up off the side of the road for themselves, continuing the infestation cycle. If you start to spray pesticides, the bugs may run rampant throughout your home and this will make eliminating them that much more difficult for the PCO. Just get professional help and be sure to follow all the PCO’s instructions. The PCO may ask you to inspect, then vacuum and seal all your things in bags. The majority do not request this though. It is crucial to follow the PCO’s advice. They know what to do. If you decide to just go ahead and bag your things, you could be sealing the bugs in these bags as well. The only way to eliminate the bugs at this point is to place these unopened bagged items away in storage for a period of at least 18 months. Instead of doing this, the majority of PCOs will fight your problem by attracting the bugs towards the poisons that will kill them and away from your possessions. You should never just seal your possessions away in bags. It is usually a good idea to begin the process of eliminating the bugs from your linen and clothing because the PCO is going to instruct you to do so. This process will also take some time. Take the clothing and linens, put them into the washing machine and wash them in hot water. Move them to the dryer and dry them on high heat for one to two hours. It is okay to dry clean items; remember that comforters, pillows, down coats and any other items that are thick may take longer than others to dry. Here is the key: once the clothes and linens are washed and dried, place them in brand new, just opened airtight bag and seal them immediately. Do not remove the items in the bags until you are ready to use them. While these bugs do like to harbor in bed frames, headboards, mattresses and box springs, they can also be found at other locations throughout the home. Many times they are found hiding in soft furniture like sofas, light fixtures, electrical sockets behind the plate, crevices in the floor, baseboards, etc. They have even been found residing in bathrooms and kitchens. However, in most cases the infestation is concentrated within 10 to 20 feet from where individuals sleep or sit for an extended period of time. With the increasing numbers of infestations, protecting you and your family needs to be top priority. Otherwise, you may fall victim to their bite. Try to prevent an infestation so you won’t have to worry about the tiny pests interrupting your sleep or your life. i require one such mattres cover for my bed 190*180*15cm. I live in Doha, Qatar. Where can i buy from? Hi Karthick! There are zippered mattress encasements in a variety of sizes listed on Amazon if you are still interested. I saw some of them listed in the above article. I do not have a problem but the idea of purchasing the in-casement is when I read this….I think every one needs to read and not ignore ahead of time…Ahead of time is the KEY to Success ….I was taught this TO THINK AHEAD before anything is a problem…Oh and someone at my work is wearing bug spray and I smell it…and it makes me wonder too. When I get home it is sometimes stuck up my nose still. Why do they think at my work after realizing there are no signs at work but have knowledge it is a problem in this world after talking about it THAT BED BUGS ARE A PROBLEM IN APARTMENTS, NO they are everywhere…they don’t discriminate when they smell bug spray do they? There is a mattress outlet in Lafayette, IN that says “your matress will double it’s weight in 8 years do to bedbugs. Is this true or is it false advertising? I have found the Ultimate Bedding Mattress Protectors to be the most amazing encasements I have ever purchased. They are super confortable and made of 100% cotton. They are waterproof, bed bug proof and allergy proof. My son stopped suffering from his allergies since I put Ultimate Bedding on his bed. I would totally recommend these to anyone. How do you think about using vacuum to get rid of bed bugs live in mattress cover??? How do you cover and protect the mechanics of an adjustable bed? Please contact me re: Bud ?? Service for my Brooklyn NY. i have recently found bed bugs in my box springs…And yes i used a chemical to spray them already. Its not a heavy infestation but it has reduced the number of them. the spray is designed for bed bugs and fleas and also kills the eggs as well. i took the fabric cover off from the bottom removed the fluffy stuff from it which only left the springs and the foam on top of the box spring. should i tear the carpet out of this room…meaning cutting it in sections to remove it? Im aslo thinking of taking silicon and sealing between the floor and the walls. i will be purchasing covers for my box spring and mattress Wal mart has one specifically designed for bed bugs that says its has a bed bug barrier. Ive used cheaper covers on past mattresses where i lived before ( no infestation till I moved to a different place) and they tore easily. When i say no infestation I can tell because I am allergic to insect bites and stings. My walls have a thin layer of concrete on top of the dry wall. The walls are not cracked though the paint is. thats can be easily seal with dry wall mud. Other people here are allergic the same as i am but they are not getting bitten. Im the only one that is:( Do you have any other suggestion on what i can do? We would also like to know how you cover adjustable bed, which by the way was how we got the bed bugs in the first place.